William B. Mead is the author of six books on baseball history, plus a seventh in partnership with Paul Dickson. In addition, Mead and Mike Feinsilber authored American Averages, a humorous take on the average American. 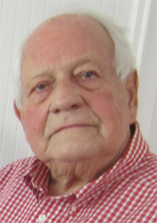 Working for United Press International (UPI), Mead covered civil rights struggles in Virginia, where public schools were closed to avoid integration, and in Detroit, where he served as bureau chief and Michigan news manager. He was one of the first reporters on the street when Detroit’s notorious race riot broke out in 1967. The same year, he covered the Detroit Tigers’ season-ending loss which cost the team a tie for the American League pennant. In 1968, Mead was awarded a Congressional Fellowship by the American Political Science Association. He then joined the Washington bureau of UPI, covering the U.S. Senate and the consumer and environmental movements. Moving to magazine work, he served as Washington correspondent for Money magazine and as a contributing editor and writer for Washingtonian magazine. Mead and the former Jennifer Hilton of Richmond met as seniors at Northwestern University and married in 1956, when he was a private in the U.S. Army and she was on the editorial staff of Mademoiselle magazine. 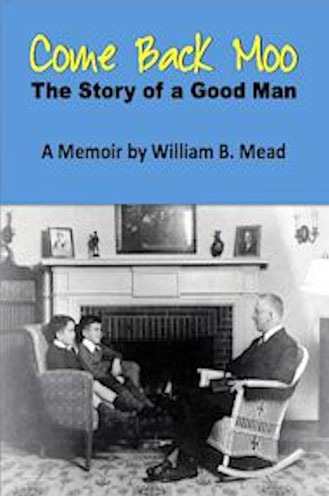 They have two sons, one daughter-in-law and three grandsons, and are blessed to live close to all of them in suburban Washington, D.C.
As custodian of a very thick and very old loose-leaf notebook called “The Bowmar Book,” Bill Mead and his brother traced the family history back to 1635. But in all of that lineage, the one who stood out most was their grandfather Herman Bowmar -- known as Moo. Here, Bill takes Moo’s story, the life of "a good man."